Sansara is the name given to the original “mainland” (“continent”) land mass in Second Life. 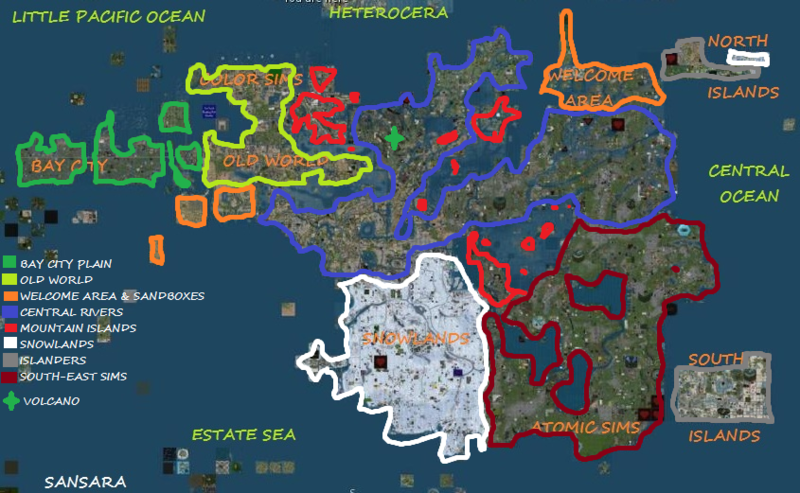 Some background is on the Second Life Wiki which includes a map naming various regions and showing their geography. This is how Sansara looks today. 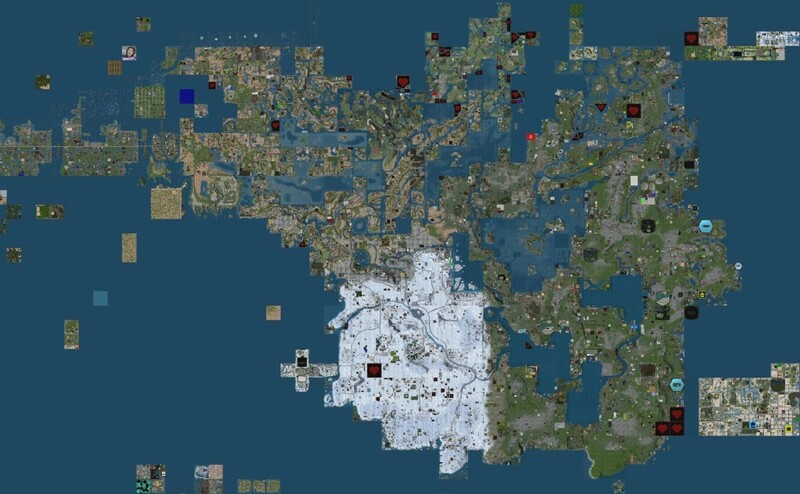 The white region in the South-West is the original Snowlands zone in Second Life. 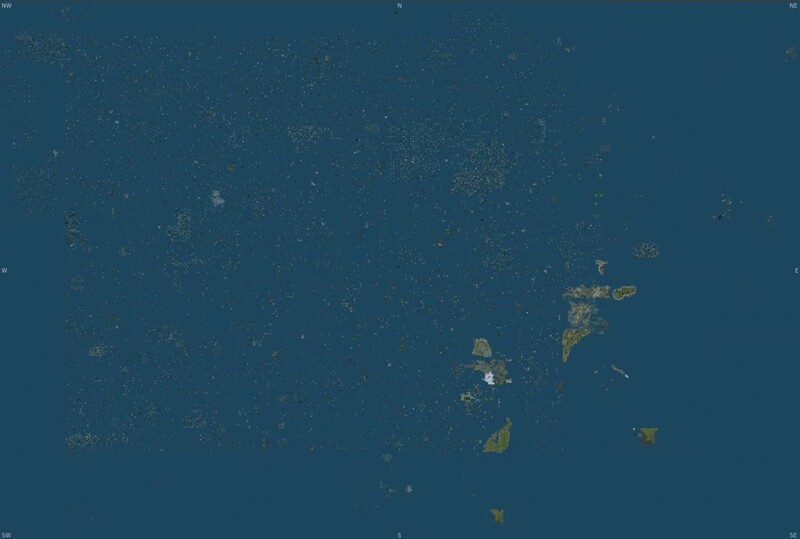 Each small block on this map of the Second Life available at http://maps.secondlife.com is a 256m X 256m region. The Sansara continent is the large land mass with the white snow zone. 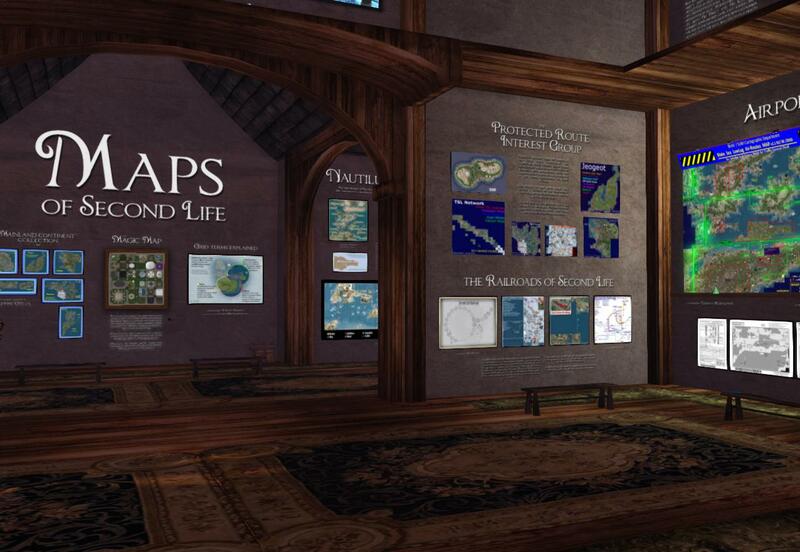 The Second Life Wiki which includes a Sansara map naming various regions and showing their geography. This entry was posted in Second Life, Virtual World and tagged History, Maps, Sansara, Second Life, Virtual World. Bookmark the permalink.